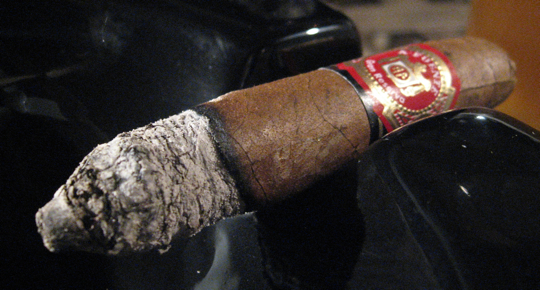 Today we have another vitola from the Hemingway line by Arturo Fuente. 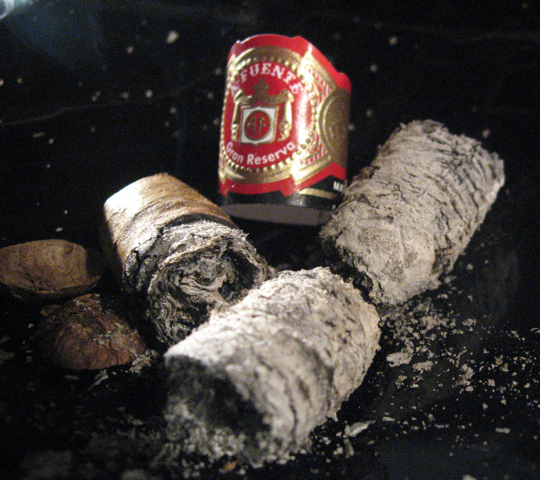 I actually reviewed the big brother of this vitola not long ago, the Arturo Fuente Hemingway “Best Seller”. Today’s vitola is called the “Short Story” and is the smallest vitola in the Hemingway line. The Short Story maintains the same wrapper, binder and filler as the rest of the Hemingway line with the only real difference being the vitola. As expected, this was another good cigar that followed a very similar profile to it’s bigger brother, the “Best Seller” which I reviewed not long ago. The price comes in a little lower for this vitola, selling at about $6 each making it a fairly affordable everyday cigar. There is a lot of competition in the budget market lately and some great cigars at larger vitolas can be found for the same price. 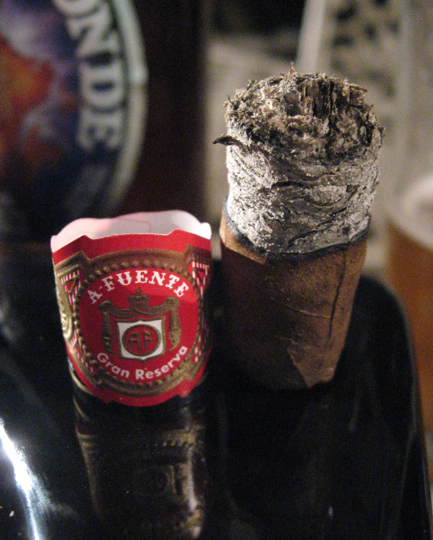 This cigar has the advantage of great construction (minus the glue issues…) and great flavors. It’s going to be a personal opinion here, does it beat those similar priced cigars, even though it’s a much smaller vitola? 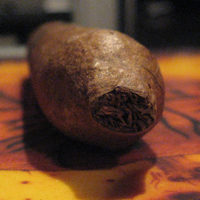 Does the smaller vitola make it more attractable to you? 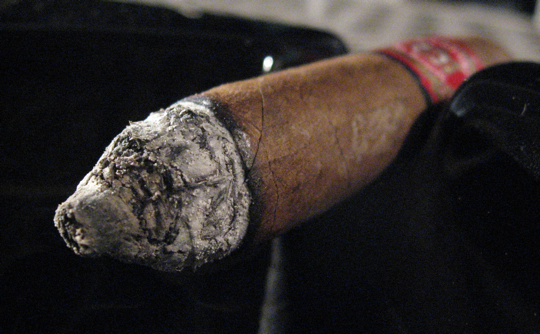 Whichever way you lean, there’s no doubt it’s a good cigar and definitely worth trying. I have yet another winner from the Unibroque Brewery in Quebec, Canada. This is a fantastic, triple fermented beer. It comes in a larger 2 pint bottle or your standard bottle size and clocks in at 9% alc./vol. 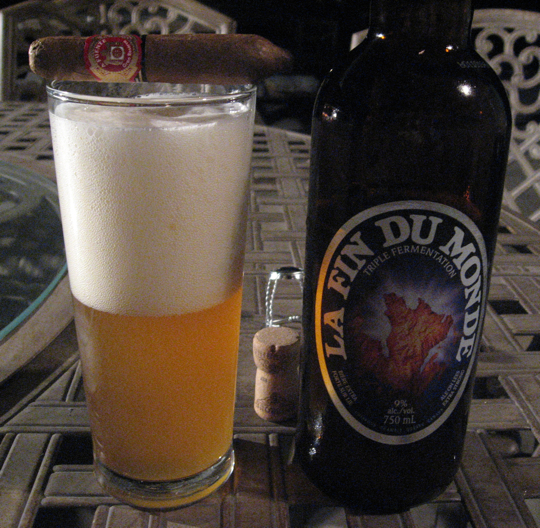 The name “La Fin du Monde” means “The End of the World” in French. It seems to be the most widely available brew from Unibroque although their other offerings are fantastic as well. It has a smoky amber color to it and fills the palate with flavors oak, a bit of fruityness, a very mild bitterness and pure smoothness. You can’t even tell this is strong beer so be careful! 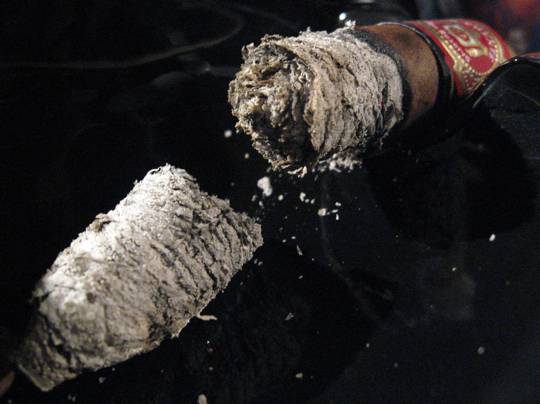 It paired well with this cigar as well as any other mild or medium offering. Other great pairings for the Short Story could include coffee, diet soda, other amber beers or a nice glass of port. Tony, I know it’s the wrong glass but I’m just following your lead! It was a good short smoke for sure. I smoked it super slow! lol I think average would probably be 30-45min for a normal pace. I was kind of surprised about the glue because the Hemingway Best Seller had no problems at all. I agree with not taking the band off though, keep it on until it’s almost burning! This is one of my favorite short smokes, I don’t see how you made it last an hour LOL. AF always over glue their bands, drives me crazy so I never try to take them off before I light up. Thanks for the review. Nice choice & great job on the review!! !